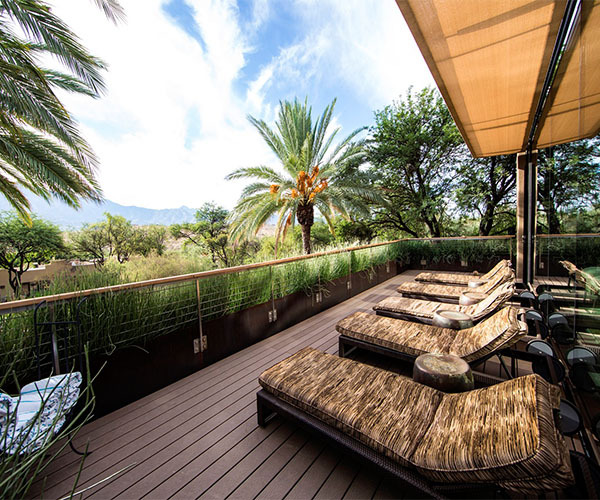 Situated in the warm shade of the Santa Catalina Mountains in northern Tucson, AZ, on 400 acres of idyllic land, Miraval Resort & Spa is a top-rated all-inclusive destination resort and spa dedicated to helping guests live life in the moment. Since 1995 the property has been consistently ranked as one of the world’s top destination spas by Travel + Leisure, SpaFinder and Condé Nast Traveler. Offering an array of dynamic growth and development programs, one-of-a-kind, luxurious spa treatments, authentic, flavorful and healthful cuisine as well as an expert staff of renowned wellbeing specialists, Miraval helps to open eyes, minds and hearts. In 2016, the resort completed a multi-million dollar renovation that unveiled fully refreshed guestrooms, a state-of-the-art fitness center and updated spaces throughout the resort. In addition to spa treatments, Miraval offers a comprehensive menu of programs focused on topics such as weight and stress management, integrative medicine, metabolism and prevention, and grief and loss. Guests can build their strength and tone muscles at the Body Mindfulness Center, with its movement studios and classes; a yoga center and Pilates studio are also available. The property also encompasses three swimming pools, including a fitness lap pool and hot tubs, two tennis courts, trails for hiking and biking, and an Adventure Course with high and low ropes, a climbing wall, and a zipline. One of the spa's signature offerings is the Miraval Equine Experience ™ Immersion with Wyatt Webb, a four-day self-awareness program that involves working with horses. During downtime, guests can enjoy the resort's fine art installations that are scattered throughout the property, look out over the tri-level pond with its serene cascading waterfalls, or stroll the Zen and desert gardens, which offer a labyrinth and kiva with fire pit. In addition, indoor and outdoor group/retreat areas are on site. 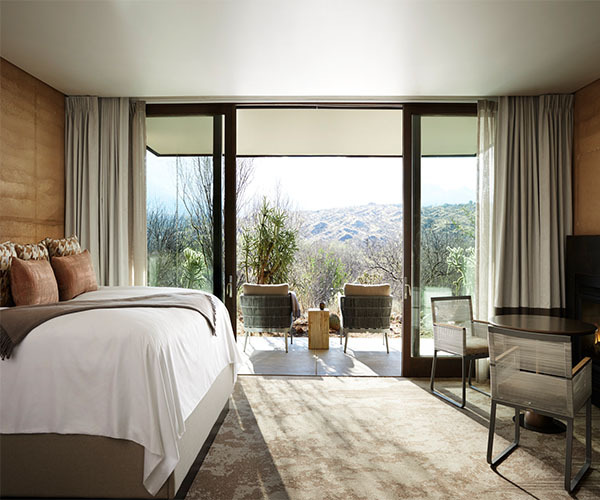 Guest rooms and suites, housed in casita-style rooms made with natural colors from the earth that create a connection with the desert landscape and surrounding mountains. Each room features responsibly sourced and sustainable materials. Many rooms have private outdoor space, and some are designed with a glass wall to make the most of the mountain views. Catalina Rooms are made with rammed earth walls and have a large soaking tub in the bathroom and an outdoor shower. Suites have a spacious sitting area and fireplace, and the one-bedroom Presidential Suite also has a kitchenette and dining room. High-tech amenities include LCD TVs, DVD players, and free wireless Internet access. Poolside snack bars serve snacks such as wraps and salads between meals. Alcohol is available on a nightly basis in the restaurant and at Brave Bill Lounge.